We're excited to partner with Lindt Chocolate this year to show you a few different ways that you can up your Easter Basket making skills this year. From traditional to modern to rustic - we've partnered with some of our favorite food bloggers to bring you ideas that are fresh, exciting and completely unique. 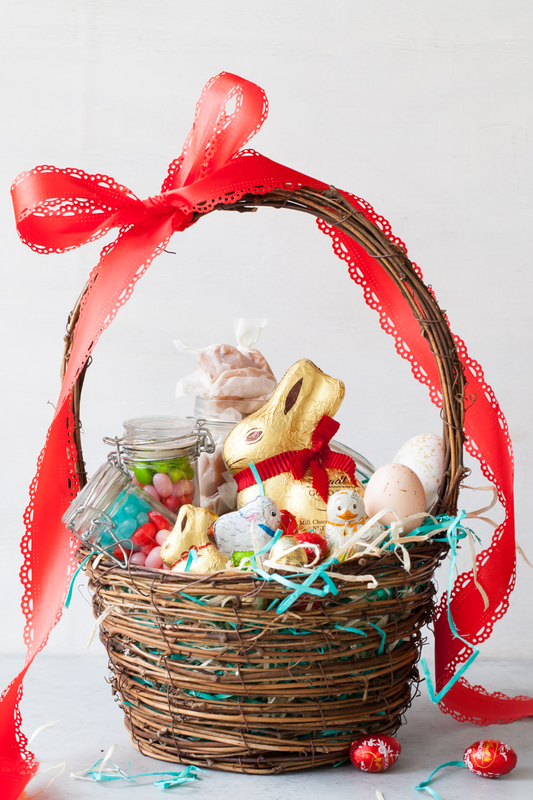 What we love most about all of these baskets is the Lindt GOLD BUNNY which is the real star of the show. 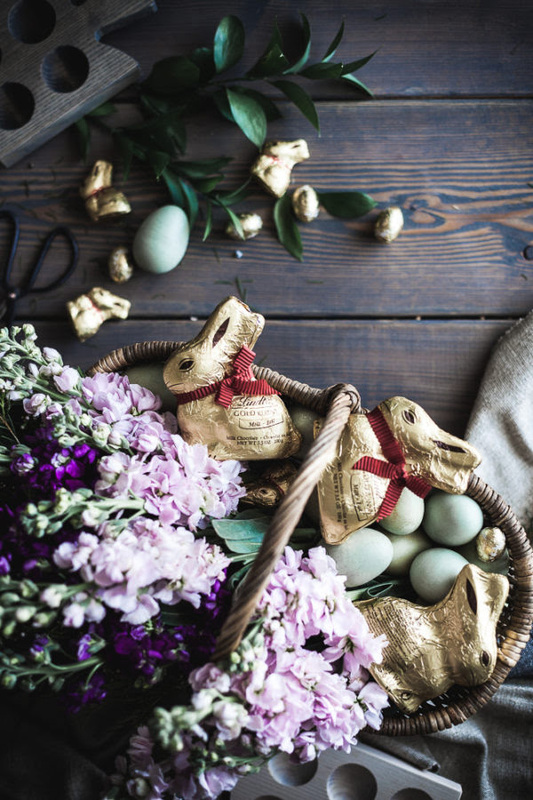 Making their appearance each and every year, the Lindt GOLD BUNNY is our confection of choice for building the most delicious & beautiful easter baskets out there. We partnered with Lindt Chocolate this Spring to bring you this ultimate Easter basket for grown-ups...wine, cheese, chocolate & flowers included! 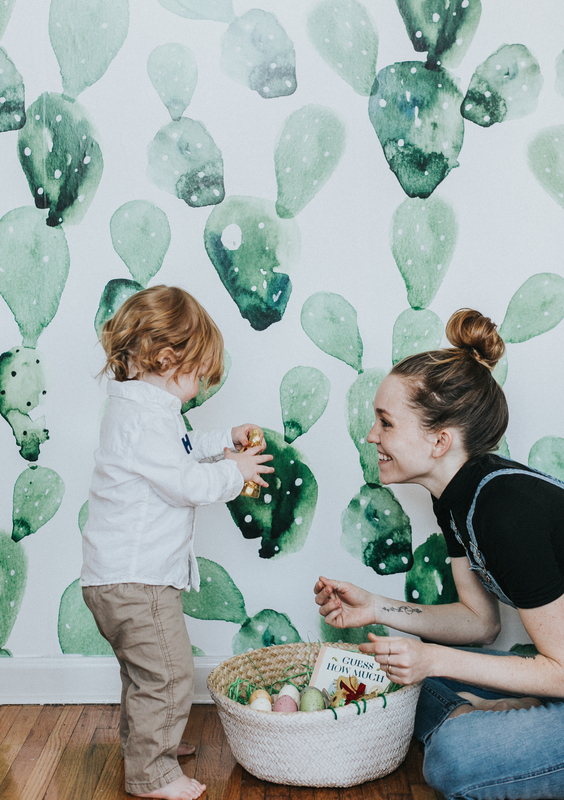 Hailey of @householdmagny has some fantastic tips for creating a simple, modern Easter basket for little ones. Kayley's rustic Easter basket is filled with gorgeous pastel hues that perfectly complement the star of the show: Lindt GOLD BUNNY! Tessa describes this basket as "classic yet whimsical"; we couldn't agree more! She pairs her Lindt GOLD BUNNY with an assortment of sweet treats, including homemade Earl Grey Caramels. Read the full story and get the recipe here!